Despite only previous album this decade, Mike Ness & Co. have remained on the radar of fans by touring every year regardless of the lack of new material. 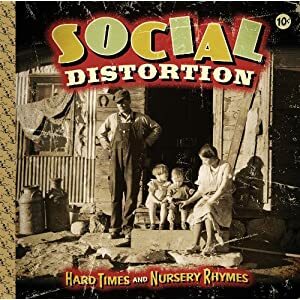 The shows have never failed to disappoint and after hearing them play one of the new songs last fall, I was cautiously optimistic that Social D was going to deliver what long time fans have been waiting on. The album is here and I'm happy to report that there are some gems on here that will make everyone pretty happy. Overall there are songs that refuse to stand out, and though enjoyable, some of it has been forgettable. Social D picks up where they left off. "It's got a few great songs, but"
"Ness' triumph has been the passion with which he has maintained his vision"
I saw them last fall and you'll be happy to hear that there was a pretty good representation of today's youth in attendance.